Adult & children’s beginner riding lessons are structured to help those who have little to no experience. Private lessons ensure you receive lots of individual attention to make learning safe and enjoyable. Initially, lessons are one hour in length and are divided into two parts, ground work and riding skills. The term “ground work” describes all activities done with the horse when not riding. During ground work you will learn how to catch, lead, groom, tack up and safely handle your horse from the ground. You will also gain valuable insight on equine behaviour and psychology, knowledge that will help you develop a trusting and harmonious relationship with your horse. All beginner level riders are started on the longe line so I have control of the horse. 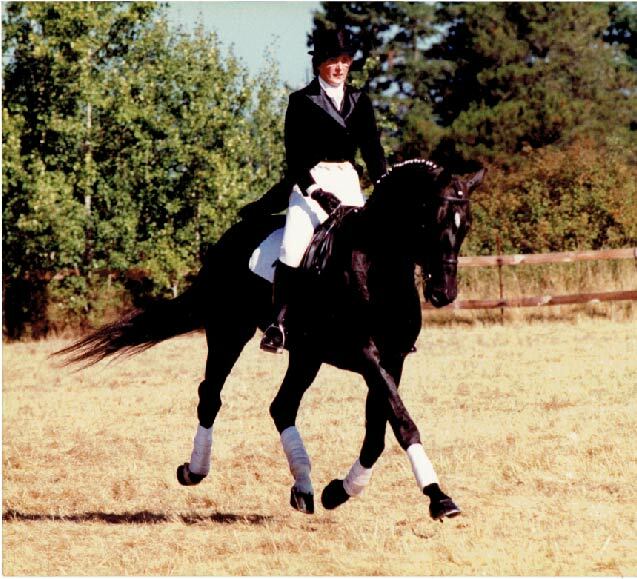 You will learn how to ask the horse to walk, trot, halt and change from one gait, or pace, to the other. As you gain knowledge and skill you will be turned off the longe line, first at the walk, then at the trot. Once you are able to safely and confidently groom and tack up your horse, you are required to arrive 30 minutes before the start of your lesson to get your horse ready for your ride. At this time lessons are 45 minutes in length and consist mainly of riding skills. However, arrangements can be made to delve more deeply into ground work and round penning. A riding helmet, boots and crop are required. Greenhawk Harness & Equestrian Supplies, 7154 West Saanich Road, Brentwood Bay, has an excellent deal on a “Back To Lessons” package. Each new student has the option of taking a one month trial before committing to a regular lesson program. For more information, or to book your one month trial, contact Kathy at kathy@harrisonhorsemanship.com.